Like any policy idea announced in the midst of a general election campaign, the Labour Party’s initiative to extend paternity leave from two to four weeks is likely to be dissected and demolished before the whole point of it disappears completely in a puff of smoke generated from the white heat of party political battling and point scoring. Which is a pity because it actually offers an opportunity to discuss some big societal questions like men’s role (and therefore; women’s role) in child-rearing; work-life balance and, given the business community’s less than warm response; about capitalism itself. Leaving aside these ‘big’ issues though; (too big for this blog at least); as someone who works daily with Mums and Dads who find themselves struggling to juggle children and family life with the healthy needs of their adult relationship; a sizable number can link their current relationship problems back to the birth of a child and the immediate aftermath. And I’m not just talking about the mental and physical demands of taking care of a baby that can leave no time or energy for anyone or anything else, or the displacement male partners can feel as mothers and babies bond. These are common issues and for many couples; time itself can resolve this. Rather, I’m talking about an often unvoiced and sometimes, even unconscious, feeling of insecurity that some mothers can experience during and post-birth. For many, giving birth is a hugely vulnerable experience sometimes complicated by unexpected or frightening, if necessary, medical interventions. When, often unbeknownst to their partners, a mother’s emotional needs are somehow not met at that time or in the period after; they can feel let down and the security of the relationship bond is damaged. Life can move on (as it has to with a small baby to look after!) but the injury caused at that time can stay with the mother, sometimes unconsciously reducing her capacity to trust and feel secure in the couple relationship. When later, the relationship begins to falter or fail; this one event can often be identified ‘as the beginning of the end’, and the work of therapy is then is to help the couple repair that ‘attachment’ injury. Now do I think four weeks of paternity leave is going to solve this issue for couples? 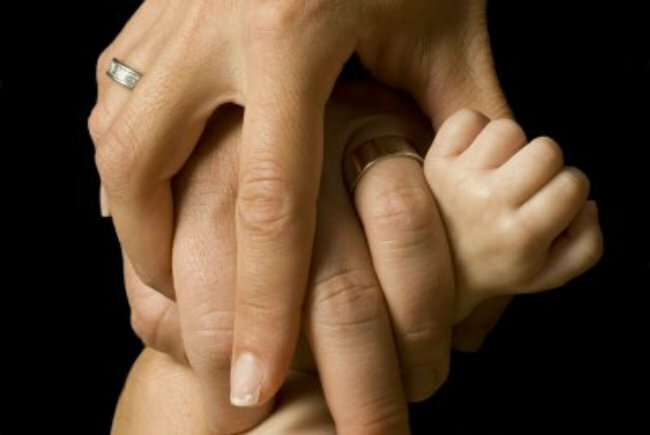 Maybe not completely but it at least offers couples greater opportunity and more time to try to achieve the task of meeting all needs and therefore, maintaining their own attachment bond, which I would argue is just as important for the long-term health of the family, as bonding with their new baby. I work collaboratively with my clients and can work both on a short-term and long-term basis dependant on their needs. My role is to actively enable my clients to realise self- knowledge and their own expertise to help solve problems. Don’t ‘lie back and think of England’ but do something (together)!